Since the start of the summer of 2017, Elephante has taken the decks on the stage at over 20 of the planet’s most attended festivals including EDC Las Vegas, Electric Zoo, Sunset Music Fest in Tampa and many more. 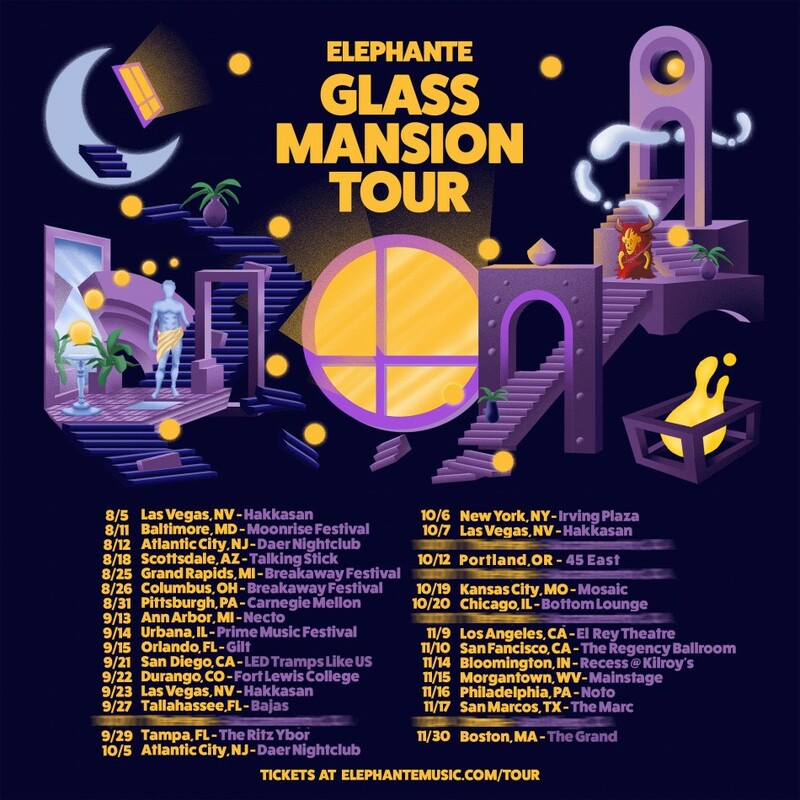 His ‘Glass Mansion’ EP hit the #1 spot on iTunes’ Dance chart following its release this past June and Elephante is surely looking to keep his heavy momentum rolling in the coming months. Tickets for his ‘Glass Mansion’ fall run are officially on sale now.